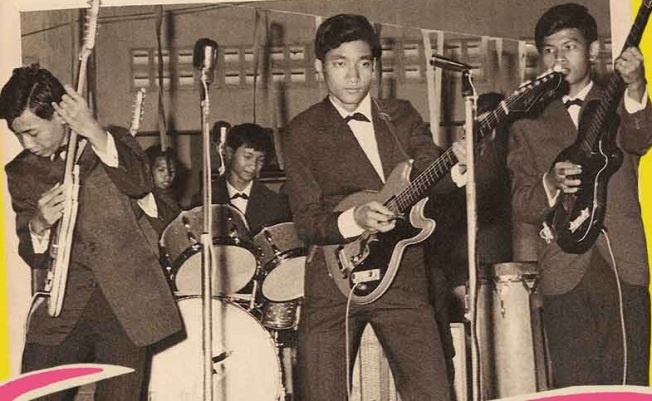 "Don’t Think I’ve Forgotten: Cambodia’s Lost Rock and Roll" plays at the Digital Gym between June 5 to 11. "Don’t Think I’ve Forgotten: Cambodia’s Lost Rock and Roll" is a huge revelation for the music history books, and it's one of biblical proportions -- taking viewers through the ‘50s, ‘60s and ‘70s of Cambodia. Film director John Pirozzi takes audiences back to a Cambodia where rock stars were born and made nobles of society by their very own modernist, music-loving royal leader Prince Norodum Sinahouk. Rock & roll prophets like Sinn Sisamouth, Ros Sereysothea, Pen Ran, Pou Vannary, Sieng Di and Drakkar -- who roared "the soul of Cambodia" gospel until the bitter end -- will have you rethinking what it means "to die for your music." In the late ‘60s, the Khmer Rouge declared genocide to overthrow Sinahouk’s westernized empire. It was echoed by one of the tenets of communism: ‘You have to eliminate the artist to control the people.’ Every Cambodian musician became an enemy of the state. They were systematically targeted and eliminated. For the Khmer, killing rock & roll musicians and destroying vinyl records meant power for their regime. An estimated 2 million people -- a quarter of the Cambodian population -- were killed. The documentary finds the light in all the darkness by rediscovering the techniques used by Cambodia’s martyrs of music and how close they were to becoming as global as the Beatles were to the U.K. Musicians like Sisamouth -- "the father of modern Cambodia music" -- and Sereysothea really loved their country. They found ways to stay relevant while still embracing the traditional sounds of Cambodia. The film also explores how the prominent distribution of vinyl music from Cuba and South America influenced the ‘50s Cambodia rock sound. By the late ‘60s, America’s Seventh Fleet brought new music ashore like Wilson Pickett, which heavily influenced the Cambodian band Liv Tek. Carlos Santana’s guitar stylings also became a source of inspiration for many. "Don’t Think I’ve Forgotten: Cambodia’s Lost Rock and Roll" celebrates heritage, music and the search for truth. This documentary film provides a completely refreshing new perspective on a country usually associated with only war and genocide. It’s a page turner, so to speak, and moving enough to make any vintage music lover dig through the crates of YouTube.